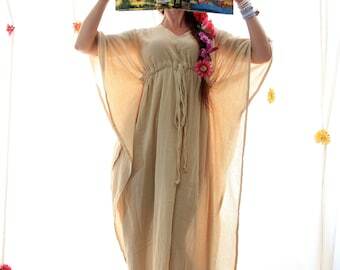 Summer travel is a breeze when your go-to dress is a maxi kaftan in super soft, rayon jersey knit fabric. Add metallic sandals and sparkly jewelry to get glam in a snap, or try it with earthy accessories for the perfect bohemian summer look. 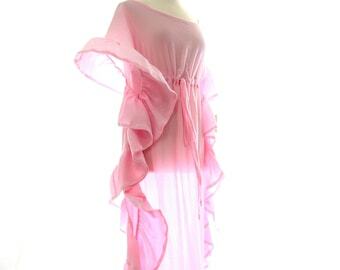 Subtle side slits from the knee down, keep movement in this kaftan easy and the fabric flowing. Available in a rainbow of colors. -Maxi. Choose your height/size combo from the dropdown menu when ordering.